Harry Tabor is about to be named Man of the Decade, a distinction that feels like the culmination of a life well lived. Gathering together in Palm Springs for the celebration are his wife, Roma, a distinguished child psychologist, and their children: Phoebe, a high-powered attorney; Camille, a brilliant social anthropologist; and Simon, a big-firm lawyer, who brings his gl Harry Tabor is about to be named Man of the Decade, a distinction that feels like the culmination of a life well lived. Gathering together in Palm Springs for the celebration are his wife, Roma, a distinguished child psychologist, and their children: Phoebe, a high-powered attorney; Camille, a brilliant social anthropologist; and Simon, a big-firm lawyer, who brings his glamorous wife and two young daughters. To ask other readers questions about The Family Tabor, please sign up. I have had this book sitting on my shelf just waiting for the right time. That time was now! Each member of the family have their own demons and secrets they have kept hidden. Including Harry himself. What will be revealed? And ultimately how will this family move forward? This is a very slow thoughtful read that will take you on a journey with this family. Told from multiple POV of all family members. Each with a strong voice and a story to tell. How do we really know what goes on inside a family. The truths may even be hidden within the family itself. Cherise Wolas puts together a beautifully written intriguing and enchanting novel. This is the perfect read for anyone who enjoys a Character driven family saga. Last summer, The Resurrection of Joan Ashby was on all the must-read lists. I bought it, but unfortunately, I have not read it yet, so I went in to The Family Tabor with no knowledge of Cherise Wolas’ writing style, and I was blown away. Thank you to Flatiron Books for the ARC. The Family Tabor will be published on July 17, 2018. 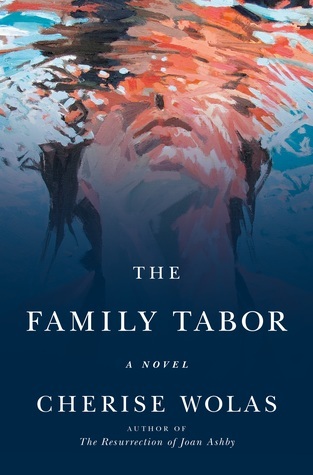 Having read (and loved) Cherise Wolas’ masterful debut novel The Resurrection of Joan Ashby last summer, I went into this book, her sophomore effort The Family Tabor , knowing that I would be treated to yet another beautifully written story with well-developed, realistic characters. Wolas’ writing is exquisite – she is one of those rare talents who is able to take seemingly ordinary, everyday events and turn them into gorgeously rendered scenes, with descriptions that are intricate and richly Having read (and loved) Cherise Wolas’ masterful debut novel The Resurrection of Joan Ashby last summer, I went into this book, her sophomore effort The Family Tabor , knowing that I would be treated to yet another beautifully written story with well-developed, realistic characters. Wolas’ writing is exquisite – she is one of those rare talents who is able to take seemingly ordinary, everyday events and turn them into gorgeously rendered scenes, with descriptions that are intricate and richly detailed, yet deftly woven into the story in a way that never feels overwritten (to me at least). As she did with her characters in her previous novel, Wolas goes deep into the minds of each member of the Tabor family and slowly, gently, brings forth the issues that each character faces, the inner conflicts that they struggle with and how those feelings, those emotions that feel so real, impact the rest of the family. This is a character-driven story through and through and once again, just like with Joan Ashby, we get to know each of Wolas’ characters intimately, understand what makes each of them tick, the motivations behind their decisions, and the extent to which their backstories as well as actions taken in the past affect their lives in the present. This is one of those books that requires a certain amount of patience to read, not because the concepts are particularly complicated or hard to understand, but rather the story is very introspective, and in a sense, almost requires the reader to approach with a contemplative mindset. To me, there was also a philosophical element to the story and despite the descriptive details, I felt that there was also profound meaning in some of what was left unsaid throughout the story, leaving room for us to reflect and apply our own thoughts rather than dictate a particular direction to follow. The story this time around also focuses on family dynamics and the delicate balance between the necessity of maintaining the bonds of family while still following one’s individual path and beliefs, however with this story, there was also the added element of faith and religion, which ended up being a bit more central to the story than the author originally intended (here’s a link to Wolas’ interview with Publisher’s Weekly where she talks a little bit about the religious element in her book: https://www.publishersweekly.com/pw/b...). As a reader who is always seeking to learn about cultures different from my own, I appreciate the knowledge that I was able to gain about the Jewish faith, most of which was previously unknown to me. With The Resurrection of Joan Ashby , Cherise Wolas set a tremendously high bar for herself and while I feel that this book lives up to those standards and is as excellently written as her debut, it didn’t have as profound of an impact on me as her previous novel did. I had connected deeply with Joan Ashby, perhaps because of her being a writer and a storyteller, which are both things that are huge in my life as well. In comparisons, I didn’t connect with the Tabor family as deeply, despite knowing them so intimately through the author’s amazingly intricate characterizations. Even with that said, this was still a wonderful book, one that I enjoyed and savored, though didn’t “love” as much as the first one. With yet another impressive work that I had the privilege of reading, Wolas is now on my list of favorite new “must-read” authors. I can’t wait to see what she will come out with next! Harry Tabor’s family is getting together to celebrate him winning the prestigious “Man Of The Decade” award. Harry is in his sixties and has been happily married to Roma for decades. This award is weighing heavy on Harry because he doesn’t feel deserving. He has been carrying a heavy secret about the funding for his philanthropic projects over the last three decades. He becomes plagued with memories from his past and the mistakes he has made. Feeling unworthy he seeks to make amends. His adult c Harry Tabor’s family is getting together to celebrate him winning the prestigious “Man Of The Decade” award. Harry is in his sixties and has been happily married to Roma for decades. This award is weighing heavy on Harry because he doesn’t feel deserving. He has been carrying a heavy secret about the funding for his philanthropic projects over the last three decades. He becomes plagued with memories from his past and the mistakes he has made. Feeling unworthy he seeks to make amends. His adult children travel to Palm Springs to celebrate but each has their own hidden issues. One child is in the midst of a broken marriage while another is hiding a failing academic career. Another child pretends to have a boyfriend instead of admitting she has problems with long-term relationships. From afar this family appears to be close-knit but in reality, their interactions remain superficial. They all converge for a weekend which will change the future of their relationships. This is the second novel written by Cherise Wolas. The Family Tabor is told from many voices and each character seems to grow while they gradually come together to address their issues. The Family Tabor is Cherise Wolas’ sophomore effort. I had enjoyed her first book, but this one failed to grab me. Harry Tabor is 70 and about to be honored as Man of the Decade by Palm Springs. His family is gathering to help celebrate the honor. We hear from each family member on a chapter by chapter basis. Unfortunately, none of them really interested me. Each of them have their secrets, their own individual dramas. But overall, the group is boring. I kept waiting for something big to happen. And when it does, are we really supposed to believe Harry has forgotten his past? And then as additional parts of his backstory become known, they don’t make sense. Because in my opinion, things would never have played out that way in real life. Quite a few of the chapters involve religion and the choices that have been made concerning each person’s faith. It’s also about atonement and forgiveness, including forgiveness of self. As with Wolas’ first book, the writing is lush and descriptive. But it’s not enough. The story needed pruning to provide better momentum. It just takes way too long down a convoluted path for some of the points of the book to be made. My thanks to netgalley and Flatiron Books forman advance copy of this novel. The Family Tabor is a multi generational look at how a family comes together to honor a father, discover themselves in the process, and find that their hearts and love are very much intertwined with the happenings of their childhood, their parents, their grandparents and their heritage of being Jewish. Harry Tabor, has done a lot of good rescuing families, performing community service, and being a philanthropist. He is well liked, loved by his family, and is to be honored as he has been chosen Man of the Decade. His family gathers and each of his children and his wife reflect and think about the direction their lives have taken and question the things that have happened to them. Harry's wife, Roma, loves her husband and her children, and grandchildren and yet she sees storms brewing. Harry holds a secret, one that is upsetting the status of his life, one that he is becoming more and more shamed about, as his conscience speaks to him reminding him of the facts that he has suppressed over the years. With the advent of this award, Harry becomes confused, and wonders does the good he has done overwhelm the bad in his past? Will he be able to look at the refection of this "man of the decade" and see what he wants to see, or will that reflection remind him always of the secret buried within his soul? Harry's and Roma's children are also battling their demons. Simon, their successful lawyer son, is beginning to find his Jewishness and he and his wife Elena are finding themselves at great odds over this. Phoebe, Harry and Roma's daughter, can't seem to find a man to love and care for. She seems to be adrift, accomplished, a high powered attorney and yet, can't seem to find a man to love and share her life. Camille, another daughter, a social anthropologist, seems to be looking for escape either through her interactions with tribes distant and remote or through her work with the dying. She has a man who loves her, but fears commitment. They all descend on Palm Springs to celebrate their father and during this time rediscover their familial ties which redirect all of their lives into their future. The Tabor Family is a family of five. Harry is 70 years old and dedicates his life to charitable work, his wife Roma a respected psychologist, Phoebe a lawyer, Camille a successful anthropologist, and Simon is also lawyer. Simon’s wife and two children are joining the gathering in Palm Springs to honor their father, Harry, for Man of the Decade. This is a well to do family, but success doesn’t guarantee happiness. Each member of this family is harboring secrets. The secrets that Phoebe and Camill The Tabor Family is a family of five. Harry is 70 years old and dedicates his life to charitable work, his wife Roma a respected psychologist, Phoebe a lawyer, Camille a successful anthropologist, and Simon is also lawyer. Simon’s wife and two children are joining the gathering in Palm Springs to honor their father, Harry, for Man of the Decade. This is a well to do family, but success doesn’t guarantee happiness. Each member of this family is harboring secrets. The secrets that Phoebe and Camille are keeping are similar and I kept thinking if they would just talk to each other they might lighten their burden. Their secrets pale in comparison to what has been weighing on Harry’s conscience that goes back many years. While playing tennis before the gala, Harry has a vision of sorts. His past has come back to haunt him and he feels undeserving of the honor that is about to be presented to him. What will a person do for redemption? When the big event finally arrives, Harry has disappeared and no one has a clue why he would leave or where he has gone. As the detectives dig deep to find answers, Simon realizes Harry has been tortured by his past mistakes. In this family drama, Charise Wolas paints a vivid picture of the characters. I was caught up in each of their dilemmas as the story unfolded. This isn’t an action-packed page turner, but rather a thoughtful contemplation on the intricacies of family, truth, and absolution. Thank you NetGalley and Flatiron Books for the arc. Wolas once again made me feel deeply for people comprised of ink, who have never and will never draw breath in reality. I’ve never come across another author who has quite her way with presenting the inner thoughts of a fictional character in such a moving, gripping fashion. I feel like I know the Tabors more intimately than many of the flesh and blood people in You can find this review and more at Novel Notions. I read an uncorrected proof of this book. I remember when I first read John Irving. I was young, just dipping my toe in adult fiction, after a vivid foray into Stephen King and, okay, I admit, V.C. Andrews. Irving was something different. His writing was modern, it was literary and it spoke of deep understanding of our human foibles painted with such a worldly brush that even if I never met people that lived such lives as his characters, I shared a deep empathy with their plot. The book was The W I read an uncorrected proof of this book. I remember when I first read John Irving. I was young, just dipping my toe in adult fiction, after a vivid foray into Stephen King and, okay, I admit, V.C. Andrews. Irving was something different. His writing was modern, it was literary and it spoke of deep understanding of our human foibles painted with such a worldly brush that even if I never met people that lived such lives as his characters, I shared a deep empathy with their plot. The book was The World According to Garp. It was a book that changed my relationship with reading. Cherise Wolas is most definitely a writer of the same caliber. It feels a privilege to read such an author at the beginning of her career. Her first book, The Resurrection of Joan Ashby tells the story of a woman who wrestles between her commitment to her art and her commitment to her family. Like Garp it weaves a writer's work within the narrative of the book. What kept Ashby compelling for me was the character's inner dialog and my hope that she would speak of what she desperately felt. The character's crisis and the resolution were both so unexpected and rewarding. I was left with a spent feeling, like no other book was going to satisfy in the same way. How wrong I was. 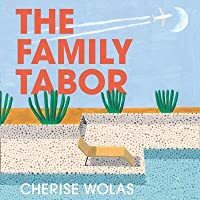 Cherise Wolas has a second book, The Family Tabor. Harry Tabor is the Man of the Decade for his good work helping to settle refugees in his desert town in Southern California. His wife is a successful child psychologist. Their children are all outwardly successful. They return home to celebrate his achievement and each member of the family is weighed down by something they need to resolve for themselves. We know our family. There are the stories we share from childhood of sibling mayhem and teenage intrigue. There are expectations our family has for us we feel compelled to meet because those expectations must be born from wisdom. There is the the fear of disappointing them. And the sudden moment in our own adulthood when we have to acknowledge not only our parent's imperfections but moral shortcomings. Because of all the other glowing reviews that precede mine, there is no real necessity for me to go through the story as if I were writing a book report. Suffice it to say, Cherise Wolas's novel, "The Family Tabor” is nothing short of extraordinary. Engaging story, fascinatng characters elegant writing, surprise ending and such profound insight into the human psyche, you might very well find yourself highlighting three-quarters of the book. Harry Tabor is about to receive a Man of the Decade award with his wife and three adult children in attendance. Each is harboring secrets. I wish I had more positive comments about Cherise Wolas’s latest novel. I’m not a fan of literary fiction with more backstory than story. THE FAMILY TABOR is probably a better book than my enjoyment of it. The characters and plot had intricate details often going back generations. Harry’s wife Roma and her work as a child psychologist interested me more than the story. None of the secrets felt original and not much happened until about 60% into the story, which held interest until the disappointing ending. 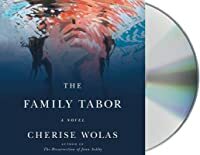 Many thanks to Flatiron Books for providing my free copy of THE FAMILY TABOR by Cherise Wolas - all opinions are my own. As you all know, I have a deep love and admiration for THE RESURRECTION OF JOAN ASHBY. I read it last year and I never stopped thinking about it. Wolas certainly has a way with words and I believe she is one of the great writers of our time. She’s a true literary genius, so I had very high expectations coming into her second novel. I am happy to say that she did not disappoint. Many thanks to Flatiron Books for providing my free copy of THE FAMILY TABOR by Cherise Wolas - all opinions are my own. As you all know, I have a deep love and admiration for THE RESURRECTION OF JOAN ASHBY. I read it last year and I never stopped thinking about it. Wolas certainly has a way with words and I believe she is one of the great writers of our time. She’s a true literary genius, so I had very high expectations coming into her second novel. I am happy to say that she did not disappoint. Wolas’ writing is beautiful, thoughtful, introspective, evocative, and emotive. She draws her readers in with an immersive plot and brilliantly written characters with so much depth, you’ll think they are tangible beings. Harry Tabor is being named Man of the Decade and his family has gathered together to celebrate. Harry and his wife, Roma, and their successful children, Phoebe, Simon, and Camille, appear to have it all, but sometimes things aren’t what they seem. They are all battling their own issues privately, but during the course of one weekend, the facade starts to unravel. Harry Tabor is about to be honored as Man of the Decade for his charitable works. His family are on their way to his home to join him and his wife, Roma, who is a child psychologist. His son, Simon, is a lawyer and will be bringing with him his wife and two young daughters. His daughter, Camille, is a social anthropologist and his daughter, Phoebe, is a lawyer. They’re all so proud of Harry and each of them have their own reasons for wanting this occasion to be a family-bonding one. But Harry’s m Harry Tabor is about to be honored as Man of the Decade for his charitable works. His family are on their way to his home to join him and his wife, Roma, who is a child psychologist. His son, Simon, is a lawyer and will be bringing with him his wife and two young daughters. His daughter, Camille, is a social anthropologist and his daughter, Phoebe, is a lawyer. They’re all so proud of Harry and each of them have their own reasons for wanting this occasion to be a family-bonding one. But Harry’s mind seems to have been playing tricks with him and hiding some vital memories. Those memories start to resurface, helped along by a voice in Harry’s mind and even a vision or two. As the memories increase, Harry’s jubilation at his upcoming honor starts to crumble. Is he the honorable man he thought he was? His children, whose lives seemed all so perfect, are also struggling with their own demons. Simon can’t sleep at nights and has discovered a desire for Judaism, Camille is having career setbacks and has taken a job at a hospice and Phoebe has an imaginary boyfriend as she can’t face her family with her loveless life. None of them are being truthful with each other or their parents. Poor Roma knows her husband and children are having problems but can’t get them to confide in her. I was completely blown away by this author’s debut book, “The Resurrection of Joan Ashby”. While I can’t say the same about her newest effort, I did enjoy it. It took me awhile to become invested with the characters and the writing was sometimes a bit too ponderous for me. But I grew to care for this family very much. I think Simon’s story touched me the most. He was a good father and husband and his new-found desire to explore his Jewish roots should never have had the outcome it did. I felt so crushed for him. Roma took on the troubles of each of her loved ones and was such a true-to-life character. As for the Man of the Decade, Harry, his journey in this book is definitely a compelling one. I think the book may not be to everyone’s taste and that’s a shame because there are such wonderful literary tidbits throughout. There’s no fast paced plot here and the writing can be a bit heavy at times. But to those who like a book that you can dig into and explore like an archaeological excavation, I do recommend this one. This was a freebie given to me by Flatiron Books - Thanks Flatiron! I loved this family. I loved this book. It started a little slow, but geez, once it grabbed me, it didn't let me go until I turned the last page. Full review coming on my blog - trying to get back into that habit again after a few crazy weeks :) Will update soon! Since I'm the writer of The Family Tabor, of course, I give it 5 stars. And thank you to everyone who has read it or is reading it, or listening to it, has spread and is spreading the word about it, has reviewed it here and on Amazon, or will review it here and on Amazon. Whether you love it or hate it, thank you for reading and talking about the Tabors. I'm so appreciative! Harry Tabor is an emperor in his world. He has everything he could have ever imagined. The novel begins the day before Harry Tabor's recognition dinner as Man of the Year. In earlier times Harry would have been "running for his life" from pogroms, as did his grandparents, instead of living in Palm Springs with a lovely family gathering to see him honored. He thinks, "I have been a very lucky man," but as the authorial voice warns, "luck is a rescindable gift." Harry hears a voice that resurrects Harry Tabor is an emperor in his world. He has everything he could have ever imagined. The novel begins the day before Harry Tabor's recognition dinner as Man of the Year. In earlier times Harry would have been "running for his life" from pogroms, as did his grandparents, instead of living in Palm Springs with a lovely family gathering to see him honored. He thinks, "I have been a very lucky man," but as the authorial voice warns, "luck is a rescindable gift." Harry hears a voice that resurrects memories buried so deep that he had lost sight of them completely. At seventy years old, Harry realizes he is unworthy of high honors and must face the truth and atone for his sins. Harry's children also each struggle with secrets they can't reveal, a search for love or meaningful work, a need for spiritual or emotional rebirth, the need for mystery or the magic of ritual. The happy family gathering is revealed to be a gathering of troubled souls, and by the grace of God, are bound together, each healed and made stronger. The novel's focus on the spiritual life of the characters may not appeal to some readers, but I loved it. I loved Cherise Wolas's first novel The Resurrection of Joan Ashby, although I felt the ending dragged. For me, The Family Tabor began slow and gathered strength about halfway. The premise of this family saga is defining the fabric that makes a family. In this tapestry we find threads of our past woven with that of our ancestors and our future children. Who we are now and who we hope to be is enmeshed with these other threads. In The Family Tabor the patriarch, Harry, is being recognized for his philanthropic work within the Jewish community. All of his adult children return home for this event to see him honored as the Man of the Decade. With two lawyers and an anthro The premise of this family saga is defining the fabric that makes a family. In this tapestry we find threads of our past woven with that of our ancestors and our future children. Who we are now and who we hope to be is enmeshed with these other threads. In The Family Tabor the patriarch, Harry, is being recognized for his philanthropic work within the Jewish community. All of his adult children return home for this event to see him honored as the Man of the Decade. With two lawyers and an anthropologist among them, each child has achieved some measure of success but each also carries a secret home with them. Each of the siblings believe that the others lead these golden lives with everything in order. But none of their lives are perfect and each of them are yearning for completion. Part of them is hoping that they will find some type of solace, a reprieve from their sorrows at the foot of their father. They feel that he will be able to piece their lives back together just as soon as his celebration is over. However, Harry has secrets of his own and his secrets pack a more devastating punch than any of his children's. This book took a minute for me to get into. I think I was about 40% of the way in before I started to take to the book which was about the time that Harry's secret was revealed and his story started to flesh out. I also was quite interested in the wife's background. I would have liked to have seen her character and storyline more further developed. I read Cherise Wolas's first book The Resurrection of Joan Ashby and liked it a lot, but this novel, The Family Tabor I absolutely loved! This is a novel to sink your teeth into. Wolas does such a fine job of fleshing out all the characters in the Tabor family. It is insightful, well written a novel that will take you away into another world, it will introduce you to characters you care deeply for. Loved it! ARC from BookBrowse. Cherise Wolas follows The Resurrection of Joan Ashby with another marvelous novel. I was completely engaged from the first word to the last with this family’s secrets, past and present. The characters are well drawn and true to life. I love the way this author writes. 4.5 *s rounded up. Henry Tabor is about to be named Man of the Decade. His grown children: Phoebe, Camille and Simon come home to celebrate with Harry and his wife, Roma. All these children bring their own hidden problems with them. Harry begins to remember darker pieces of his past. . This is an extremely well written slower read - a deep character study. I came to love each one of these flawed characters. This novel deals with so many familiar personal and family problems and ultimately asks wh 4.5 *s rounded up. Henry Tabor is about to be named Man of the Decade. His grown children: Phoebe, Camille and Simon come home to celebrate with Harry and his wife, Roma. All these children bring their own hidden problems with them. Harry begins to remember darker pieces of his past. . This is an extremely well written slower read - a deep character study. I came to love each one of these flawed characters. This novel deals with so many familiar personal and family problems and ultimately asks what is the price of redemption. This is a GoodReads giveaway win. I did NOT like this one at all. I'm not even sure what the point of the book was. I like a little bit of a back story if it's needed for clarity, but the majority of this book is back story on each member of the Tabor family. The story starts out telling about Harry Tabor getting a man of the year award and from there goes to him thinking about his past. Then it happens that way for each family member. The book is quite dull when I think about it, nothing happens This is a GoodReads giveaway win. I did NOT like this one at all. I'm not even sure what the point of the book was. I like a little bit of a back story if it's needed for clarity, but the majority of this book is back story on each member of the Tabor family. The story starts out telling about Harry Tabor getting a man of the year award and from there goes to him thinking about his past. Then it happens that way for each family member. The book is quite dull when I think about it, nothing happens until the very end, which isn't when it does isn't all that unexpected. Thank you to Flatiron books for the free advanced reader's copy of The Family Tabor. All opinions expressed below are my own. Harry Tabor, the family patriarch, is being named Man of the Decade in Palm Springs. To help celebrate the occasion, his family is returning home. On the surface, the Harry Tabor lives a charmed life - he has a palatial home that he now shares with his wife, Roma, who is a child psychologist. He also has three successful adult children - attorneys Phoebe and Simon Thank you to Flatiron books for the free advanced reader's copy of The Family Tabor. All opinions expressed below are my own. Harry Tabor, the family patriarch, is being named Man of the Decade in Palm Springs. To help celebrate the occasion, his family is returning home. On the surface, the Harry Tabor lives a charmed life - he has a palatial home that he now shares with his wife, Roma, who is a child psychologist. He also has three successful adult children - attorneys Phoebe and Simon and Camille, an anthropologist. Instead of being introduced to their glamorized life, the reader is invited into the psyche of each character with no flaws barred. Each has secrets that they are keeping from their family and the reunion brings everything to the foreground. I was a huge fan of Cherise Wolas' debut novel The Resurrection of Joan Ashby. It was an epic tome that explored decades of one character's life. Instead of sticking to this trend, each family member is given a voice in The Family Tabor. The chapters are told from alternating points of view so that the reader can take turns jumping into each character's skin. I tend to enjoy when there are multiple narrators - this gives me a better chance to like and relate to a character. In The Family Tabor, I found I was able to relate to almost all of the family members. Do I have anything in common with the characters? Not really, but Ms. Wolas' writing made even Camille, a social anthropologist who has spent a large portion of her adult life living abroad, feel familiar. While each character is grappling with very unique personal issues, they all feel like issues that I could also be experiencing. None of the characters are presented as perfect and the characters also have enough self awareness to realize they aren't perfect. In the writing of this novel, Cherise Wolas is able to identify many personal struggles that adults deal with and explore how these struggles affect individuals and their families, but she does it in such a nuanced way that, as a reader, you don't always realize its happening. Why do we find the need to present such pretty and happy pictures to our parents? Why can't we find love when we want it? How do we find fulfillment and passion in our professions while also still making a living? How do we deal with depression? She explores each character's issues with their internal and external identities, their motivations, and their overall mental status. The majority of this novel takes place in a span of 24 hours with the ending moving forward a bit. I'm usually drawn to plot driven narratives, but loved having the time to really explore each character and to learn a little bit about myself along the way. The entirety of THE FAMILY TABOR takes place in 24 hours, told through the five perspectives of the each family member. Wolas completely builds each character so that you become entrenched in every aspect of their lives, from their hopes and dreams to their failings. THE FAMILY TABOR is the story of redemption and forgiveness offered almost too late and is captivating. Highly recommend. Some books feel too heavy. This was one of them. Where you can't see the story for all the muck hiding it. Thank you to publisher and NetGalley for the chance to read. While I got the book for free, it had no bearing on the rating I gave it. 4stars...ARC to be published July 2018..more about the characters interior lives than action. ..lots of detail about the Jewish religion that I loved. Oh I loved this so much - a completely believable family, each with their own story and secrets. I'm a huge fan of The Resurrection of Joan Ashby and though people might think this is the same Tabor family from that book - it's not - just the names remain the same, and even Joan gets a nod that made me smile. I really felt I was in Palm Springs with the family - and in all the other places that each came from to reunite as adult siblings and parents. The perceptiveness of the descriptions of the s Oh I loved this so much - a completely believable family, each with their own story and secrets. I really felt I was in Palm Springs with the family - and in all the other places that each came from to reunite as adult siblings and parents. The perceptiveness of the descriptions of the sisterly relationships...made me phone both of mine...I know so many people who will be recognizing elements of their own families in this. I'm a HUGE fan of Cherise Wolas' writing - how with a few words she manages to draw her reader's interest and attentiveness towards each new character -each character so vivid in personality and personal history, even to the clothes - and keep that all the way to the end. Oh the end! But I loved even the ending. I have always loved books about family dramas and dynasties, all the way back to when I was a (very) precocious fifth-grader, where I bit my lip as my body tensed under the disapproving glare of a public librarian, checking out Danielle Steel sagas (Zoya! Jewels! Message from Nam!) and yearning to read the latest on my then-hero, Jackie Collins’ Lucky Santangelo. Cherise Wolas’ The Family Tabor is by no means a quick, dirty and trashy trip through the misdeeds and buried skeletons of well-to-do I have always loved books about family dramas and dynasties, all the way back to when I was a (very) precocious fifth-grader, where I bit my lip as my body tensed under the disapproving glare of a public librarian, checking out Danielle Steel sagas (Zoya! Jewels! Message from Nam!) and yearning to read the latest on my then-hero, Jackie Collins’ Lucky Santangelo. Cherise Wolas’ The Family Tabor is by no means a quick, dirty and trashy trip through the misdeeds and buried skeletons of well-to-do family on the West Coast à la that in Collins’ Chances or Lady Boss. However, it was the beginning of The Family Tabor, where Harry Tabor, family patriarch, do-gooder, founder of the mysteriously named CST, a non-profit that helps resettle displaced Jews into Palm Springs, reflects on his life and that of his ancestors shortly before he is to be named Man of the Decade at a gala, where I knew I was going to be drawn into some juicy drama. Throughout the book, Wolas draws on themes that are familiar to many Jews, perhaps in both our collective and individual histories, and she covers ground in each of these areas. One idea is this notion of running from things; perhaps Roma, Harry’s child psychologist wife, articulates it best when she thinks about a young female patient she is treating, a girl who doesn’t want to eat or drink, but who leaves the house every morning to run seven miles. Roma thinks that she must be running from a monster in the house. Similarly, Harry and Roma’s son, Simon an attorney with two children and a distant wife, can’t sleep, and spends time running, which is just the newest distraction he’s picked up to keep himself busy. Their daughter, Phoebe, says she wants a relationship but seems to sabotage herself at every turn, while their other daughter, Camille, is a social anthropologist who ran to Melanesia, and fell into a deep depression upon her return. On a larger scale, it’s explained that Harry and Roma’s families left Europe due to the pogroms—just one of many monsters that have come to terrorize the homes of the Jews. I have read some reviews that there are those who may have wanted a tidier, perhaps a more complete ending. I think, though, the fact that we are left wondering what happens is completely appropriate; like the Tabors, I believe we are still lost, wandering in this desert, sometimes searching for answers, sometimes seeking forgiveness. I've sung (and still sing) the praises of Cherise Wolas' 2017 debut novel, The Resurrection of Joan Ashby whenever I can, and I'm happy to announce that her follow-up novel features her signature style and plenty of interesting, lovably flawed characters. The Family Tabor is not as impactful as Joan, perhaps because it is shorter and because its 370 pages are shared upon a family of protagonists instead of only one. Yet it was easy to become entranced with the Tabors and their many secrets. And I've sung (and still sing) the praises of Cherise Wolas' 2017 debut novel, The Resurrection of Joan Ashby whenever I can, and I'm happy to announce that her follow-up novel features her signature style and plenty of interesting, lovably flawed characters. The Family Tabor is not as impactful as Joan, perhaps because it is shorter and because its 370 pages are shared upon a family of protagonists instead of only one. Yet it was easy to become entranced with the Tabors and their many secrets. And the book boasts a beautifully drawn conclusion that was, well, perfect. Wolas' style reminds me of something Victorian but with a modern twist; imagine George Eliot if she had read Virginia Woolf. Like Woolf's approach, the book covers only a handful of days in actual real time, and most of the pages take us into the hearts of each primary player of the family—the patriarch Harry and matriarch Roma and their three adult children, Camille, Simon and Phoebe. It's easy to love the Tabors because they are genuine, passionate, and talented individuals pained by a nagging emptiness in their lives. They are wise and foolish, wanting to be true and honest but not to themselves. The Family Tabor is a story biblical in its depth and breadth, biblical in its metaphors, and biblical in one man’s search for atonement; atonement for the sins of his father. On the night Harry Tabor is to receive the honor of Palm Springs Man of the Decade, ge disappears, having just recently begun a conversation with either God or his own conscience and subconscious. The entire family, wife, Roma, daughters Phoebe and Camille, and son Simon, his wife, Elena, and adorable daughters Lucy and Isa The Family Tabor is a story biblical in its depth and breadth, biblical in its metaphors, and biblical in one man’s search for atonement; atonement for the sins of his father. On the night Harry Tabor is to receive the honor of Palm Springs Man of the Decade, ge disappears, having just recently begun a conversation with either God or his own conscience and subconscious. The entire family, wife, Roma, daughters Phoebe and Camille, and son Simon, his wife, Elena, and adorable daughters Lucy and Isabel, have all come to share this triumph with their patriarch. Yet barely beneath the surface for each adult simmers a restlessness, a secret, and, at worst, a lie, of life changing proportions. To reveal the details of this tale would reveal far too many spoilers. Suffice to say this is an intriguing, albeit periodically somewhat overly convoluted, tale, about torment, facing one’s demons, and finding resolution. The Family Tabor is about fight or flight, at its core, and except for Lucy and Isabel, every character in this book experiences that primal conflict, including one of Roma’s young patients, herself a metaphor for the turmoil this family experiences. These characters are believable, but I certainly did not find them likeable, especially Roma, who struck me as too holier than thou for her own good. That I don’t find them likeable is not a criticism of the book - I think readers are not meant to like them, especially as the venality of Harry’s deeds before becoming a wonderful philanthropist unfolds and one wonders just how much of his secret has infiltrated the very bloodstreams of his family. There is something rotten at the core of these two generations of what were, in the old country, Tiborskys, descendants of a famous, brilliant, but deaf, cantor. How quickly Harry rises from nothing and disgraces his ancestors is a story well worth reading. Cherise Wolas' acclaimed debut novel, THE RESURRECTION OF JOAN ASHBY, was a 2019 International Dublin Literary Award nominee, a PEN/Debut Fiction Prize longlist selection, named a 2017 Best Novel and Best Debut Novel by Kirkus Reviews, a Top 10 First Novel of 2017 by Booklist, a New York Times Book Review Editor's Choice, an American Booksellers Association Indie Next Great Reads pick, a Bookbrows Cherise Wolas' acclaimed debut novel, THE RESURRECTION OF JOAN ASHBY, was a 2019 International Dublin Literary Award nominee, a PEN/Debut Fiction Prize longlist selection, named a 2017 Best Novel and Best Debut Novel by Kirkus Reviews, a Top 10 First Novel of 2017 by Booklist, a New York Times Book Review Editor's Choice, an American Booksellers Association Indie Next Great Reads pick, a Bookbrowse Editor's Choice, among other accolades, and received starred reviews from Kirkus Reviews, Library Journal, Huffington Post, etc. Published in the US by Flatiron Books, in the UK by The Borough Press, in Poland by Czarna Owca, and in Turkey by Cumartesi Kitapligi in Turkey, it is forthcoming in France, Israel, China, and other countries. Now also available in paperback in the US and UK. BookPage named her one of the "11 Women to Watch in 2018." Her second novel, THE FAMILY TABOR, an Amazon Best Seller in World Literature and Jewish American Fiction Release, was published in the US on July 17, and in the UK on August 9, 2018. It is an American Booksellers Association Indie Next Great Read. She has a BFA and a JD, was a feature film and television story editor and development executive, practiced law in California and New York, and founded a film company where she acquired stories, novels, and scripts, and produced movies. She is working on a new novel and lives in New York City with her husband and a feline named Henry who thinks he's a dog.